1210 and 2705 double-heading a photographers' special freight train at the NSWRTM Festival of Steam, 6 March 2004. The handsome C(79) class 4-4-0 passenger locomotives were first introduced in 1877, having been developed by Beyer Peacock & Co from a similar design supplied to the NSWGR, the G(23) / (Z)14 class 2-4-0 locomotives of 1865 vintage. The most obvious improvement of the C(79) design was the addition of a 4-wheel Bissel Bogie at the front of the locomotive. The C(79) type proved successful with further deliveries swelling to class to 68 examples, including 26 supplied by Dubs & Co, Glasgow and 8 supplied by local company Atlas Engineering Co at Haymarket, Sydney. The C(79) class inevitably cascaded to secondary duties and country depots following the introduction of more modern locomotives, notably the larger 4-6-0 locomotive types. 20 were converted to 4-4-2T configuration between 1895 and 1902 for suburban work, including class leader C 79 which survives to this day in the guise of 1301. In time the C(79)’s were modernised with Belpaire boilers and the distinctive Thow ‘porthole’ cabsides. 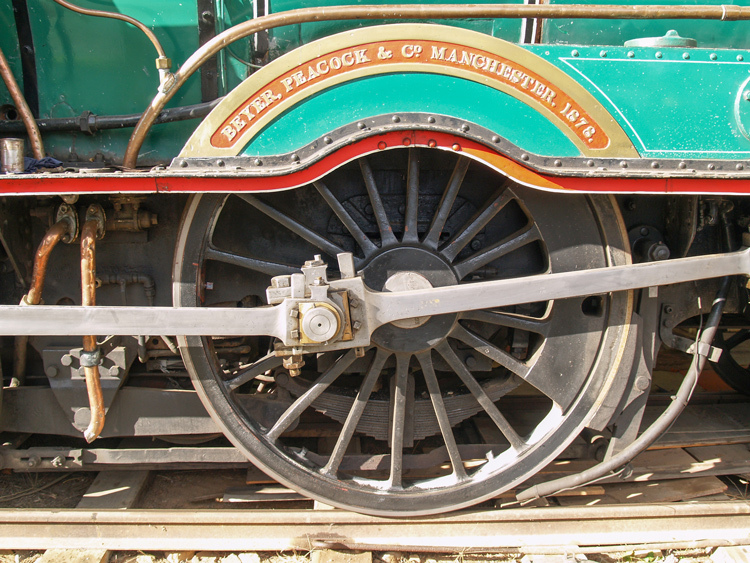 They were reclassified to (Z)12 in the 1924 renumbering scheme, with the ‘Z’ indicating the type was already considered obsolete. It is interesting to note that the earlier G(23) / (Z)14 class 2-4-0’s were rebuilt as 4-4-0’s to resemble the (Z)12 class; indeed it often takes some inspection to differentiate photos of the two types following rebuilding. While many (Z)12 locos were withdrawn in the 1930’s following the arrival of the (C)30T class, a number lingered into the 1950’s and 1960s and indeed the class were favoured by the NSWGR for country / light lines work over the inside cylinder 4-4-0 types, none of which survived in NSWGR service post 1933. The remaining (Z)12 class members found niche uses in country operations where passenger traffic exceeded the capacity of a rail motor, but did not warrant a larger locomotive. According to ‘Steam Locomotive Data’ (the official source for NSWGR steam locomotive service records), 1210 entered service as C 120 in September 1878. It was renumbered to 1210 of the (Z)12 class in 1924. Photos taken in the 1947 period show it paired with a Baldwin bogie tender. 1210 participated in some historical / vintage train operations towards the end of its service life (wearing lined green livery and paired with the original type of tender) before being withdrawn in January 1962 and condemned on 27 January 1962 with 1,941,551 km travelled. 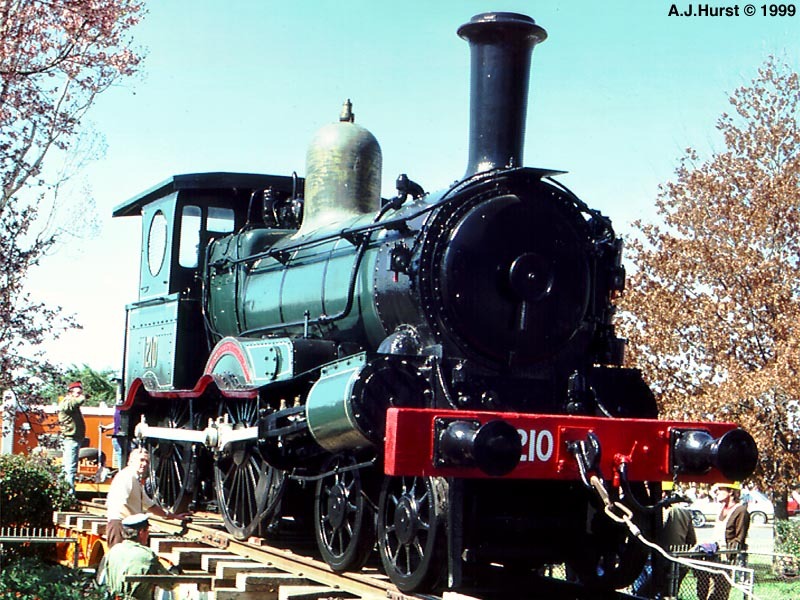 In 1913 loco C 120 / 1210 had the distinction of working the first train into Canberra and fortunately it was saved for posterity in recognition of this, being plinthed at Canberra Station in 1962. Here it was immaculately maintained in its attractive lined green livery with polished brass dome and other highlights by volunteers from the Australian Railway Historical Society (ACT Division). 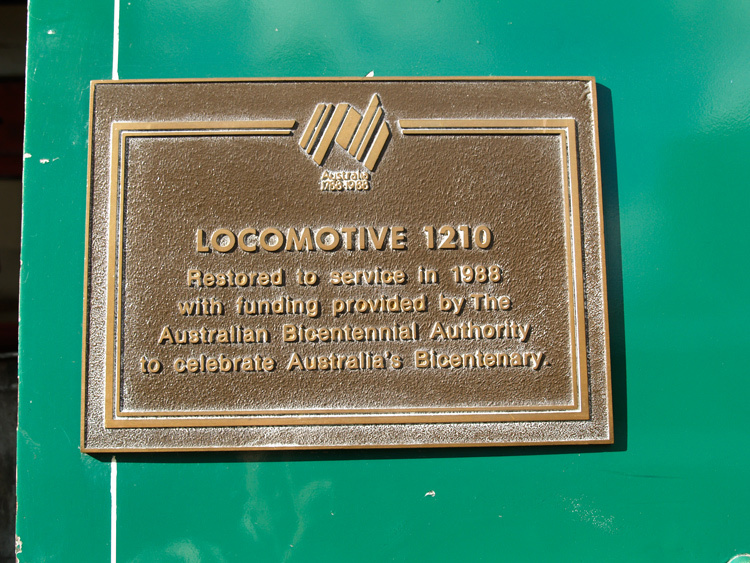 In 1984 locomotive 1210 was retrieved for overhaul by the nearby Canberra Railway Museum, supported by funding from the Australian Bicentennial Authority. Restoration by volunteers from the ARHS (ACT division) was completed in 1988 in time for the locomotive to participate in the memorable ‘AusSteam88’ event in Melbourne and other bicentennial celebrations. (The webmaster has fond memories of visiting the restoration site in Canberra and, later, chasing 1210 on various excursion around this period; happy days.) 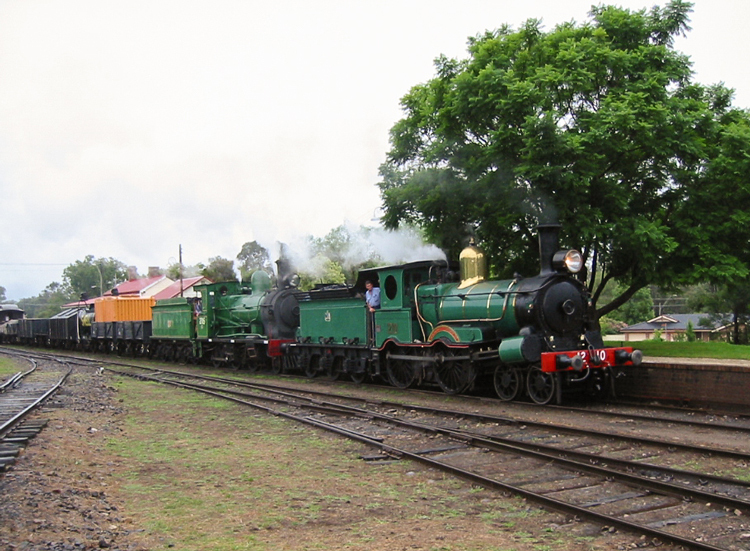 1210 has since been based at the Canberra Railway Museum and generally available for tourist and enthusiast trains, excepting periods of maintenance. Being a light locomotive with limited tractive effort, it is often rostered with another steam locomotive on a double-header. Ron Preston provides wonderful accounts and great photographs of (Z)12-class operations on the NSWGR’s pioneer lines in his work ‘Tender Into Tank’, together with the (Z)13 class tank converts and some information on the earlier G(23) / (Z)14 class. Further information and technical details for the C(79) / (Z)12-class locomotives can also be found on Wikipedia. My thanks to John Hurst for this view of 1210 being removed from her plinth at Canberra Station in September 1984. 1210 was subsequently overhauled and returned to main line operation by volunteers at the Canberra Railway Museum.